Any ImaginationGYM® activity pack is also suitable for home use. It consists of an audio program such as The Enchanted Forest, the relevant activity book (suitable for children 4 – 9 years) and additional notes for parents giving background on the ImaginationGYM® methodology and how to gain maximum benefits. For best results, each child should have their own activity book, as it encourages a sense of self and privacy as well as allowing personal boundaries and self-expression to develop. The activity book, which is usually used after a listening session, encourages children to bring their ideas into the real world. Stimulating creativity and taking action on it is a core principle of the ImaginationGYM® methodology. The activity book also gives parents valuable feedback and insights into the child’s preferred learning styles. We strongly encourage parents to take part in the learning experience with their children. Children love doing things with their parents. Listening to the audio program gives you quality time with your child which they will appreciate. After listening to the audio program the child can carry out an activity in the Activity Book (suitable 5yrs up) giving you quiet time to yourself. Apart from this being beneficial and encouraging to the child you as an adult will also gain many benefits including de-stressing, releasing tension in your body, switching off from your days work and above all you will be exercising your mind. You may think that is what you were doing during your busy day but ImaginationGYM® exercises different parts of your brain by providing new experiences through imagination. It’s why we go to gyms. Sure we get physical exercise during the day but in a gym we really maintain our fitness and health. ImaginationGYM® helps adults increase their mental agility and maintain a healthy mind into later life. Some children love ImaginationGYM® audio programs and some can be more reluctant at the start. If your child is reluctant give them some encouragement by asking can you listen to it with them. Alternatively you may ask a respected sibling or other family member or friend whom you know the child looks up to. In our research we have never found a child who did not eventually enjoy the audio program. Usually resistance at the start is due to hyperactivity, inability to access imagination or perceived entertainment value of the product compared to other ‘instant’ multimedia experiences. We would encourage that ImaginationGYM® audio programs are left out with other multimedia products in your home such as music audio programs/ videos, computer games and DVDs. This gives everybody in the house a choice of alternative media if they wish internal quiet as opposed to external stimulation. There is no shelf life on ImaginationGYM® audio programs and they can be used over and over again. Our experience shows that they will find favour in many family situations e.g. coming up to exams, sleep problems, during times of family distress or just to chill out. It is very often random or spur of the moment so that’s why they should be left out with easy access to everybody in the family and that includes grown ups! Repeated use will keep everybody’s mind agile. While some of the images described on the ImaginationGYM® audio program may sound child-like, they are there to stimulate imagination and to encourage new thought processes. 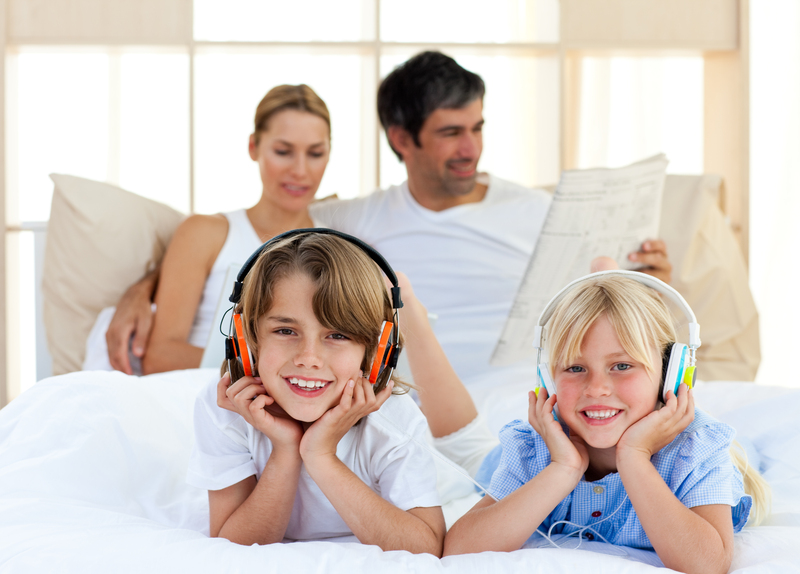 Our research shows that children really love listening to the audio program with their parents. It allows for good quality time between parent and child. It relaxes everybody and feedback from the child can very often be illuminating with regard to events going on in their lives. Modern neuroscience studies are showing that imagination exercises like those in ImaginationGYM® can be very beneficial to everyone, adults included. When we imagine, we create new neural networks and it is this activity that make us smart, not the number of brain cells we have. This is very important now that we are living longer through better healthcare, exercise and nutrition. However a healthy body is not much use without a healthy mind to operate it!!! An ImaginationGYM® audio program is completely non-invasive and is ideal for relaxing both children and adults while stimulating their imagination and creativity. The imagination exercises in particular, help children with whole brain learning, using both sides of their brain rather than their dominant half (see whole brain learning). It is also ideal for stimulating multiple intelligences.